YOUR SEARCH IS OVER!! Centrally located in the “Buckhorn Groves” community you don’t want to miss this beautiful 4 bed 3 bath 3 car garage home!! With more than 2600 heated sq ft this home HAS IT ALL!! The beautiful curb appeal & stone frontage sets the exterior of this home off!! 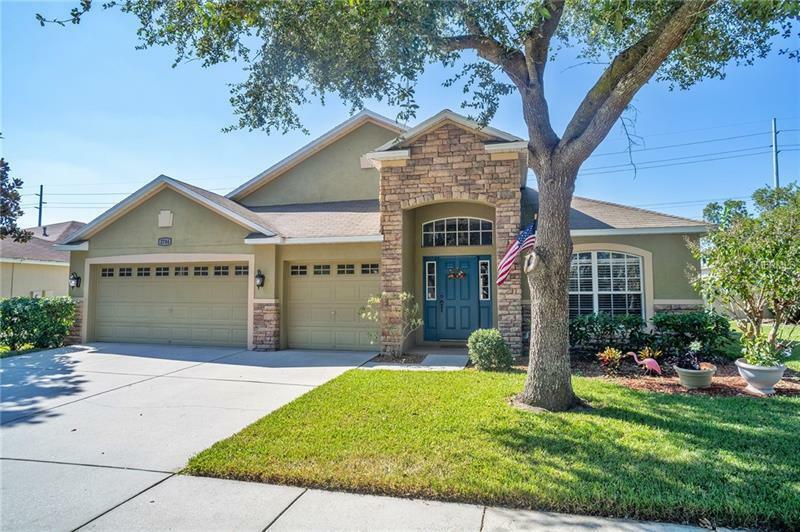 This home features diagonal set tiles in all main living areas tile in wet areas beautiful engineered plank wood flooring in the bedrooms vaulted ceilings & a perfect layout for any family. You’ll fall in love with the design of the gourmet kitchen featuring loads of cabinet & counterspace a large closet pantry built-in desk eat in nook Samsung stainless appliances including a french door refrigerator built-in microwave GAS RANGE & dishwasher w/a large closet pantry built in desk eat in nook & MORE! The oversized MASTER SUITE leaves plenty of room for all the bedroom furniture a large walk-in closet and the beautifully tiled master bath features a relaxing garden tub frameless glass walk-in shower marble counters sit on his/her sinks w/his raised for comfort & convenient vanity space for her! There is another bedroom is at the back of the home and features a walk-in closet and direct access to the lanai bath! 2 more bedrooms share a third full bathroom. The extended PAVERED PORCH is perfect for relaxing & unwinding from a long day at work while sitting in the JETTED JACUZZI! Great schools are only a few minutes away! 3 car garage has plenty of room for storage!